This recipe caught my eye on Pinterest. Click on the picture above for the link to the original post. I love recipes that look simple and are also simple to make. 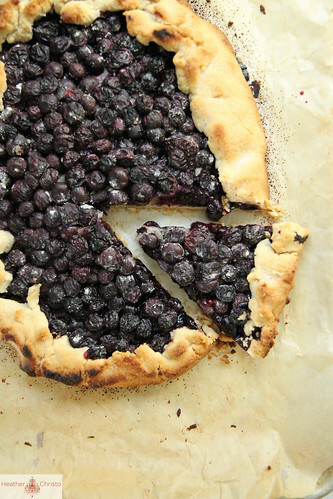 This one is basically a pie crust and blueberries. Can’t go wrong! 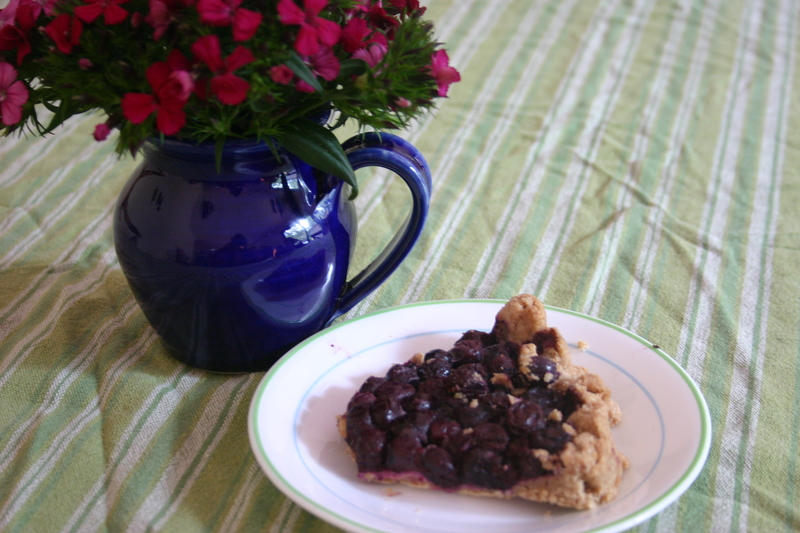 I made my pie crust with spelt flour and coconut oil, which made it a bit crumbly … but still very delicious. 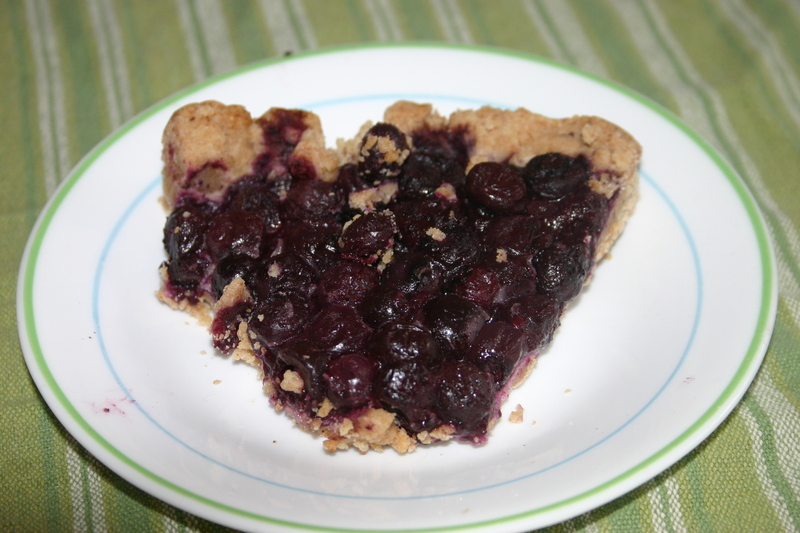 I used maple syrup instead of sugar, left out the flour (instead I kind of mashed the blueberries a little bit after they were cooked so they all stuck together in the crust better) and I used dabs of coconut oil on top of the blueberries instead of butter. It was really delicious! I managed to save a slice to take a photo of. I love the rustic look of it too. Can’t you picture yourself on the couch, wrapped up in a snuggly blanket eating hot crostata with cream? Yummo Jen, How do we find the reciepe? Hi SHellie, the link should be included with the first picture and the reference to the first recipe I found.